Summer into Fall ‘18 – Woodcock Bros Brewing Co. The first half of 2018 saw us bring lots of canned IPA’s out of the brew house, culminating with our release of XPA v.15. The reception from our customers and vendors has been awesome! We’ve literally sold triple the amount of cans we did at this point last year. Thank you. Our fans are the absolute best! We’ll definitely be continuing our love of liquid hops with cans of Woodcock IPA, Citra Dry Hopped, Mosaic Dry Hopped and XPA as we move into the second half of 2018. We’ll also be continuing our love of local hops with our “Wet Hop IPA” series as we get into the local harvest season here in WNY. With our first Wet Hop IPA will use all local Chinook and Cascade hops and Vienna malt from Niagara Malt. This series always continues to impress us with all the unique flavors and WNY terroir that results from making these hoppy beers with local ingredients. Look for the first one in late August/early September. We’ll keep everyone updated as we slide into the harvest. One of our customer’s seasonal favorites at the brewery is our take on a traditional Märzen — Cocktoberfest! Both on draft and newly in these fun branded cans coming in September! 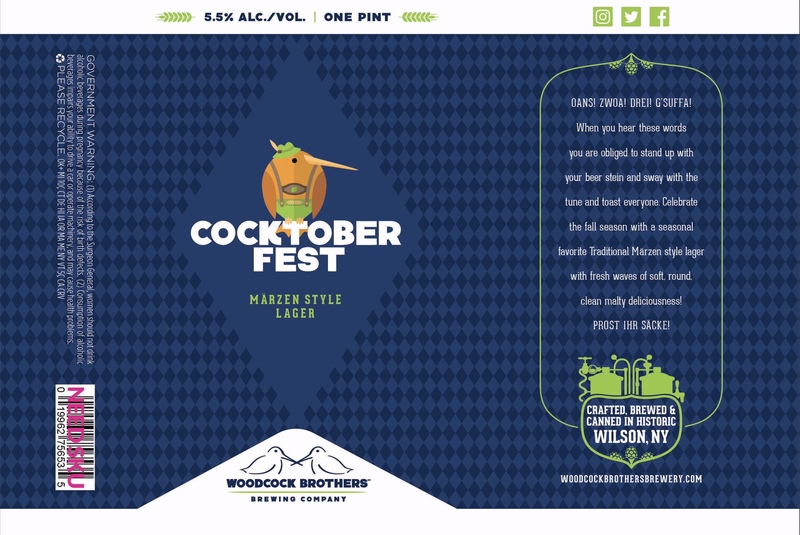 Cocktoberfest draft and cans will get full WNY distro. *Also newly coming in cans; early this summer we infused a couple kegs of our Woodcock IPA with pink grapefruit juice. It’s been such a big hit that we decided to can it for full distro! Details on our grapefruit IPA “Jubilation” coming soon! Looking for a first release in October. Lastly, our biggest weekend of the year here at the brewery lands late September as we host our two biggest events two days in a row! Mark your calendars: New York Fall Beer Fest – Friday, 9/21 and COCKTOBERFEST – Saturday 9/22. Check out events page for more info and our Facebook page for up-to-date event goings on. Wurlitzer Building 2nd location construction in progress.